Empower yourself with File Conversion tools from Softinterface. Convert files of all types. Great customer service, prompt attention to our requirements and lightening speed development has been my experience with the staff at Softinterface Inc. Within a few hours of installing WordConverterExe product.. Need a file conversion tool? You've come to the right place! Specializing in File Conversion software, we empower you to leverage the latest software technology to automate the workplace. 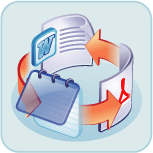 Below you'll find a summary of convert file software programs. Feel free to download and have a free trial. Supports PDF, DOC, DOCX, RTF, HTML, TXT and more... MS Word/Acrobat is NOT required. Choose between using our own file conversion or MS Words conversion algorithm. Excellent PDF Conversion support. PDF to RTF/DOC/DOCX, PDF to TXT, PDF to HTML, DOC to PDF, RTF to PDF, HTML to PDF etc. PDF/A-1b too. Schedule conversion jobs at regular intervals. Special processing of files including Concatenation (appending), Removing extra lines, search and replace text, launching 3rd party programs and much more..
All parameters, including source and target files, conversion options etc. are persistent across runs of the program. Batch can be stopped midway and resumed at a later time. Copy Specific Sheet Data or a whole set of worksheets from the same or different workbook. Specify ranges! Copy entire worksheet (including formatting) to the same or different workbook, and specify location within the workbook. Command line (Invisible at runtime) and GUI execution. Complete flexibility, complete power. Scheduler included. Supports over 20 image file types. 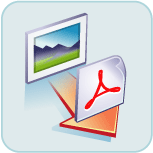 Convert TIFF to PDF, Convert JPG to PDF, Convert BMP to PDF, etc. 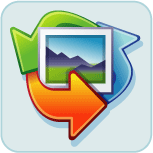 Convert many image files into a single PDF file or multiple PDF files. Supports over 20 image file types. 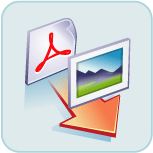 Convert PDF to TIFF, Convert PDF to JPG, Convert PDF to BMP, etc. Image manipulation routines for resizing, filtering and much much more. Supports over 20 image file types. Convert Doc to TIFF, Convert Doc to JPG, Convert PDF to JPG, etc. 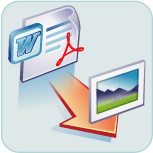 Convert PowerPoint files to DOC, RTF, TXT, HTM, JPG, GIF, BMP, TIF, PNG, EMF, and WMF. Powerful, fast, recipe driven, and very easy to use. Do one or thousands of files and folders, set and forget. Delivered with example data for training purpose. Does not require Adobe Acrobat, it is completely standalone technology.Quick integration of this PDF to Text component is easy since sample source code provided. Built in Dialogs (GUI) for quick conversion, and Advanced conversion tasks. This component can be invisible at run time. File conversion is exceptionally fast. NOTE: PDFConverterX is an ActiveX component designed to assist software developers to quickly add a PDF to text component to their applications. A tool like this can be very helpful when the native binary format of Word/Excel documents is not acceptable. HTML and Text are amongst the favorite formats to convert documents to. DLL, ActiveX and EXE interfaces are available. 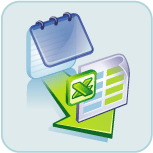 Supports MS Word/Excel Documents, WordPerfect, RTF, CSV, TXT, HTML, and more. Invisible at run time. Make command line tools. 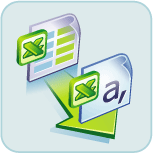 Concatenate processed files, remove empty lines, crop specific columns/rows and many special CSV (comma delimited) file processing features built in. NOTE: WordConverterXis an ActiveX component designed to assist you, the software developer, to quickly add the ability to convert and manipulate documents used with Excel and MS Word. Absolutely awesome. The product worked beyond what we expected. I am going to recommend the full version to our web team. Ron Johnson HP BPO, formally EDS - BPO US Request Management. Convert Files tools from SoftInterface, your software source. 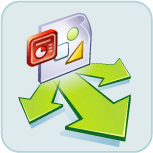 Convert Files tools from SoftInterface, your software source. What competition?